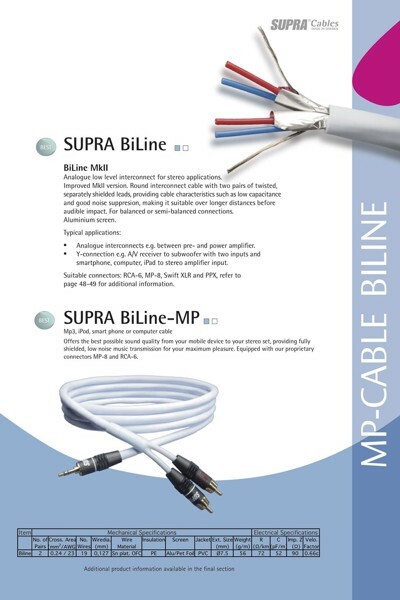 Supra Biline is a two-channel analogue interconnect for more demanding usage. The features consist of the typical Supra properties like efficient shielding, lower capacitance giving rapid transient response and allows for equal conductivity irrespective of music frequencies and levels. The result is a quite transparent interconnect displaying the most sought for hi-fi parameters from the consious listener who also want access to e.g. smart phone, iPod and computer content. When you want our best interconnect from your Smart Phone, iPod, MP3 or Computer to your hifi equipment. 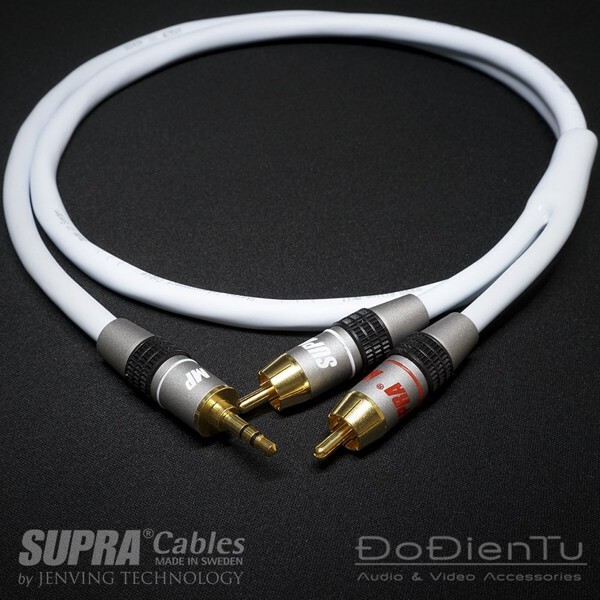 The cable and connectors are fully shielded and highly immune to external RF interference. 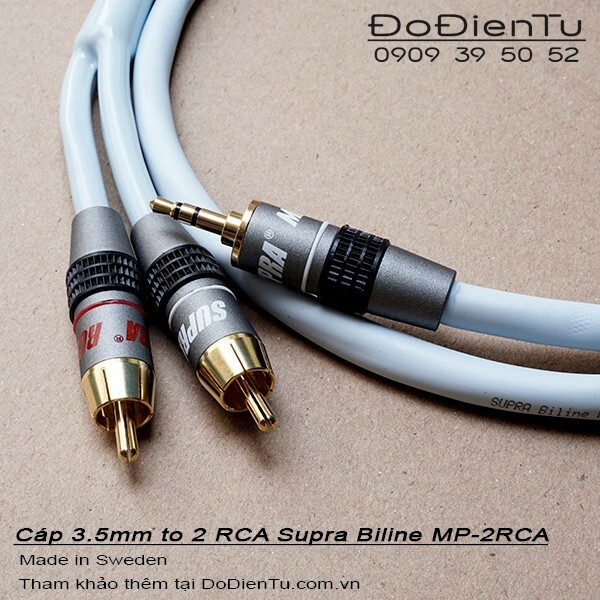 Provided with Supra MP-8 and RCA-6 connectors.